Zambrano is a young criminal with the only hope of joining the legendary prison American football team known as The Dogs of Santa Martha. 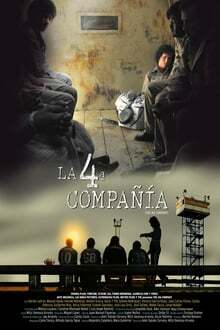 His hopes end up involving him with organized crime since The Dogs, who are also known as The 4th Company, a squadron of inmates at the service of the administration that controls the jail, its vice and its privileges. Corruption and crime have no limits; they ravage the city with car thefts, bank robberies and other crimes under the auspices of the authorities, the story takes place during the López Portillo presidency and his men.